NIU Women’s Studies and English professor Diana Swanson shares some thoughts on Illinois’ annual ethics training for state employees and how it relates to political choices for citizens of the state. Swanson’s commentary can be heard online at WNIJ-FM. Diana Swanson, is an Associate Professor of Women’s Studies and English. 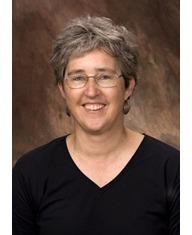 She has taught at NIU in the Women’s Studies Program and the English Department since 1991. She teaches Feminist Theory, Growing Up Female, Women Across Cultures & Centuries, LGBT Studies, and Weird Books by Women Writers, among other courses. She researches and writes about British novelist Virginia Woolf, sexuality, feminism, environmental issues, and lesbian literature. She came to DeKalb from Minneapolis where she earned her Ph.D. in English with a minor in Feminist Studies at the University of Minnesota.